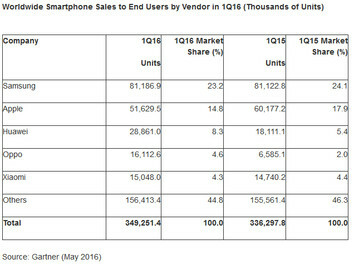 Android, Huawei, and Oppo are rising in numbers as Apple slips in market share. According to market research firm Gartner, the dominant mobile operating system as of Q1 2016 is Android with a commanding lead of 84.1 percent representing an increase of 5.3 percent a year earlier. 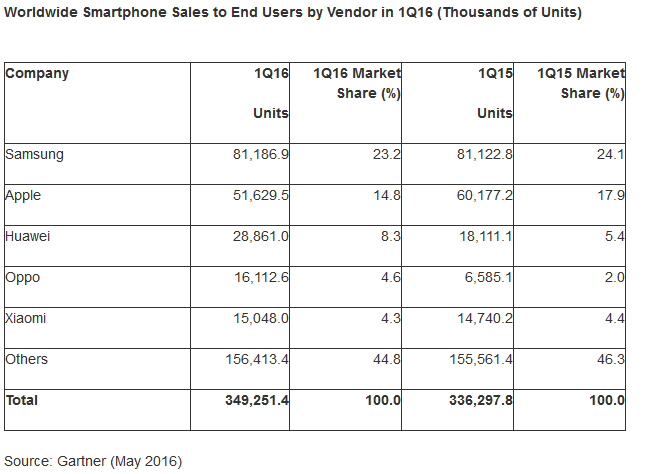 Approximately 28 million more Android devices have been sold when comparing Q1 2015 and Q1 2016. In total, approximately 349 million mobile devices (Android + others) were sold during Q1 2016 to represent an increase of 13 million the same time last year. The increasing number of smaller manufacturers and options, however, has had an impact on the market share of some larger manufacturers. Samsung, for example, experienced a growth of only about 64000 units between Q1 2015 to Q1 2016, which implies stagnation for the South Korean company. The strength of Android can also be attributed to weakening iPhone sales. Apple experienced a sharp decline with about 8.5 million fewer units sold between the same two time frames. 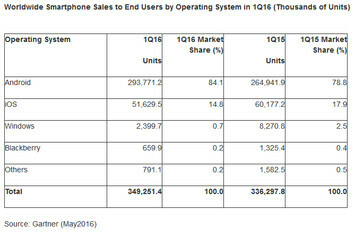 As a result, Apple's market share has contracted from 17.9 percent to 14.8 percent. 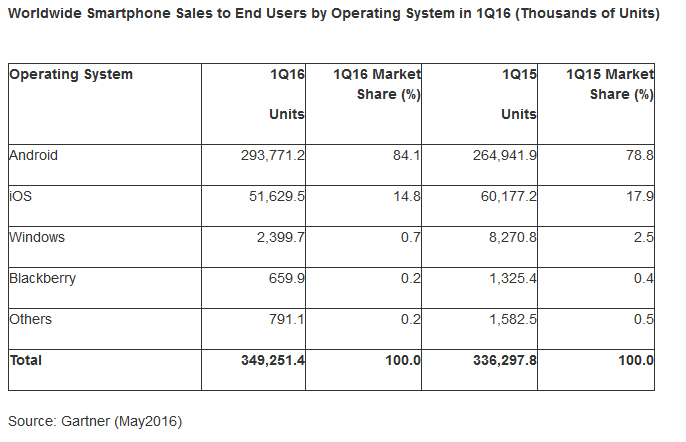 Windows Mobile has disappeared almost completely from 2.4 million units in Q1 2015 to just 659000 as of Q1 2016. Notably, a few Chinese manufacturers have grown significantly in just the span of a year. Huawei and Oppo in particular are shipping 10 million more units each compared to the same quarter last year and currently sit in third and fourth place, respectively. Lenovo is no longer in the top 5 ranking as it continues to struggle in Asian territories against cheaper alternatives.